At ages 3-4 ALL children qualify for 15 hours a week free education. Some may also qualify for free places aged 2. With mainstream schools, smaller ones may provide a more calm and adaptable environment for pupils with additional needs. 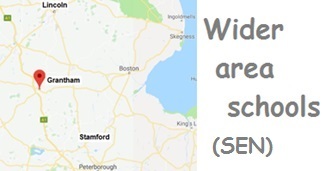 Click Wider area icon for SEN schools further afield. For those referred by their local authority there are residential schools. Click Residential icon for more information. Getting what your child needs often puts parents up against difficulties and obstacles. Professionals may try to fob you off to begin with suggesting that things might sort themselves out – perhaps partly because they do not see your child at home. There are waiting lists for much needed services and the solutions may not be easy to identify. See also: More tips. The website Ambitious about Autism has a lot of on-line discussions about education. Look for the magnifying glass icon on the site to search. Click Twitter icon here to find a link to their website – it is in the left margin. Cereba, the UK based charity, has produced a booklet about School Transport. 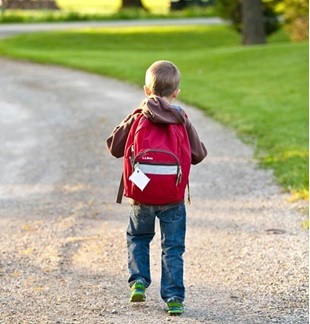 It lays out the basis for the local authority to decide whether a child cannot reasonably walk to school. See also Cereba website. High-functioning children can be very resourceful, but it may take some time for them to get on top of things. School refuser: Read about the experience of a Teenage girl and a Teenage boy . They show very different approaches on the part of the parents. Both are taken from the same on-line Discussion . Learning to read: In this case things suddenly clicked at the age of 7. Exclusions: Grantham has a pupil referral unit called Hill View Education Centre. The Ofsted report for the year 2000 is a handy source of information. It states, “The Grantham Pupil Referral Unit caters for boys and girls aged 11 to 16 who are currently having difficulties in their own schools or are excluded from them. It serves a large area of South Lincolnshire with some pupils traveling distances of over 20 miles to the unit”. Secondary school: One of our committee members says, I found my first year at Kings’ School a bit intimidating. There were quite a few in my class who were clearly much more clever than me. I was much more comfortable in the second year, having been put in a class based on my grades at the end of the first year.